Description: 30" Solaire grill on a cart, with 2 infrared burners. This unit is on our show floor, in perfect condition. Please contact info@shadyoakdist.com for further information and availability. 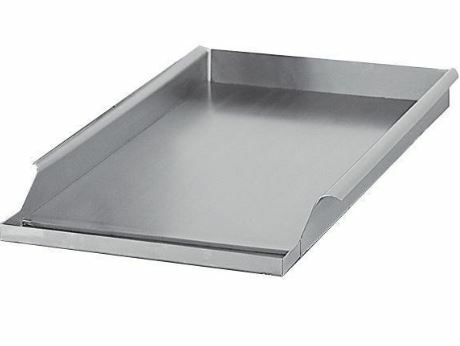 Description: Solaire SS griddle plate for AGBQ-27GIR grills. In perfect condition. Please contact info@shadyoakdist.com for further information and availability. 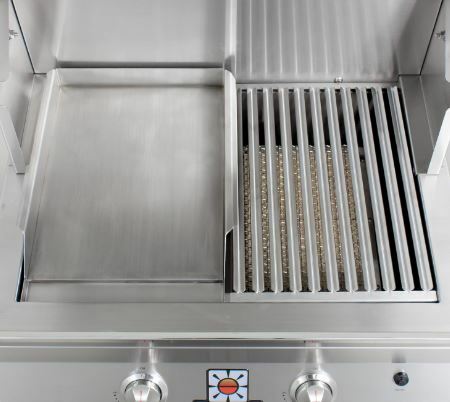 Description: Solaire SS griddle plate for all xxBQ-27GIRXL grills. In perfect condition. Please contact info@shadyoakdist.com for further information and availability. Description: Solaire SS steamer/fryer includes steaming tray and fry basket. For all xxBQ-27GIRXL grills. In perfect condition. Please contact info@shadyoakdist.com for further information and availability. Description: Solaire SS wood chip smoker, fits under grilling grate and is heated by main burner. For all AGBQ-27 grills. In perfect condition. Please contact info@shadyoakdist.com for further information and availability. Posted in Uncategorized and tagged Tree House.